Place your mouse over the photo to see a shot from inside the Blue Hole! 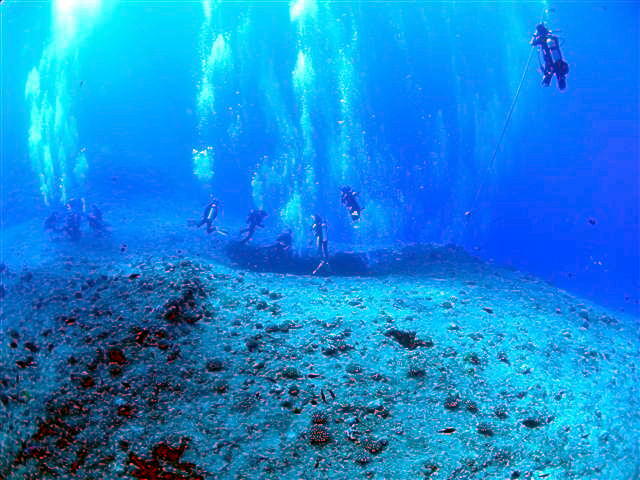 I'm adding descriptions of these dive sites, a few at a time, starting with the more popular ones. The dive site name is underlined and in bold letters if I've already written a description. If you'd like information about one I haven't gotten to yet, please email me, and I'll get back to you right away.